Those of us here at Android Police have a lot of phones, and that's putting it lightly. It's not just because we like basking in the light of a dozen tiny differently calibrated displays (though that is one of the unofficial perks). We actually need different hardware and software configurations on hand to test and compare against. 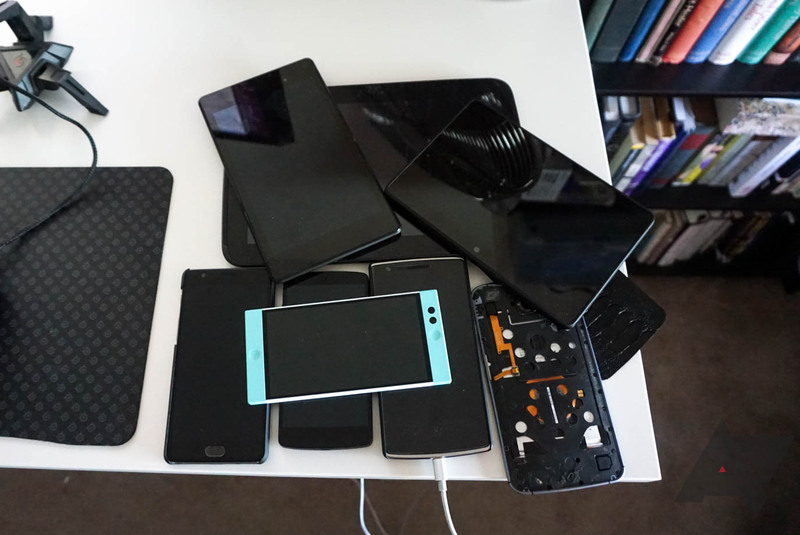 Between device compatibility for new apps, checking APK releases for differences, and test environments, our desks end up being monuments/graves to recent phone history. Obviously, those phones are no use to us if they aren't charged. But, keeping them continuously topped-up isn't very good for the batteries, either. What to do? Cody's desk is (probably) worse. The easy thing would be to just keep the ones you use regularly plugged in. And so they sit, at 100% charge, slowly killing their batteries. Cue the black and white infomercial clip: there has to be a better way. Turns out, there actually is, and it's free. 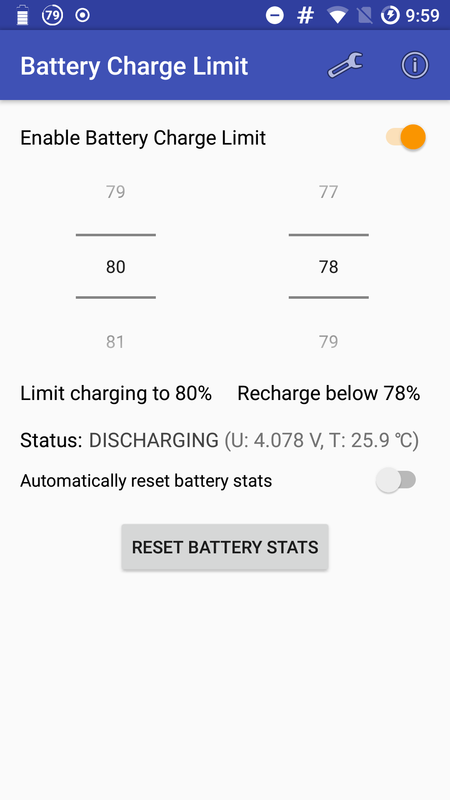 Battery Charge Limit has been on our radar for a while, but a recent battery replacement finally convinced me to give it a try. And, so far, it does exactly what you'd expect. It limits your phone from charging past a certain point and re-enables charging below a certain point. That's about it. And it's great. I wish there were more to talk about concerning it, but it's just that simple. You install the app, grant it root permissions, enable the service via the big 'ol toggle, and the app does its thing. 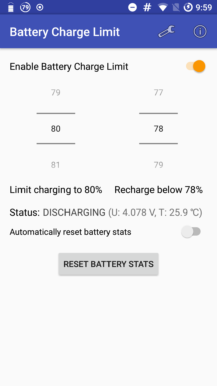 You can also set the levels for charge limiting and recharging yourself if the default 80% isn't quite to your liking. There is one cool thing that power-users and developers might particularly appreciate. 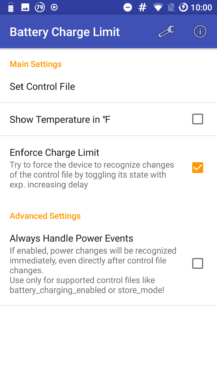 The app can accept intents for charging limits. 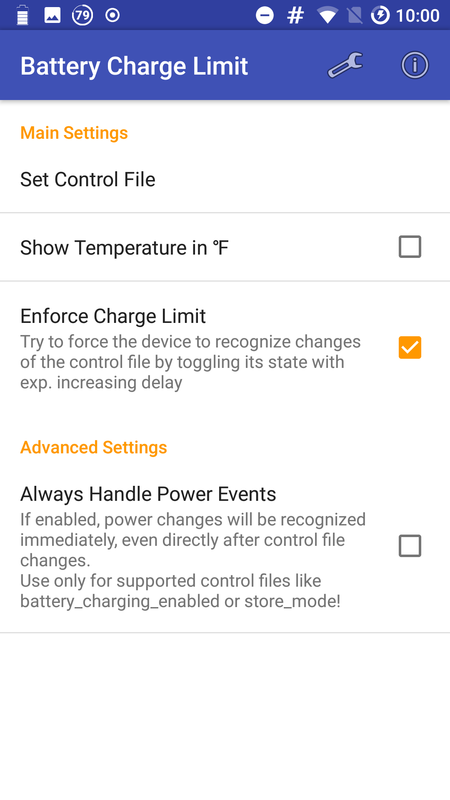 So you can set Tasker profiles to change values in the app, or rig up your own system. 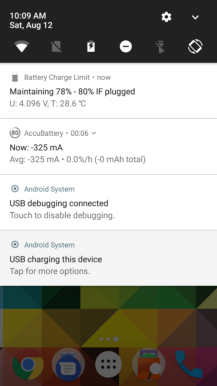 Battery Charge Limit also has an ongoing notification while charge limiting is enabled, showing percentages you have it set to oscillate between, the current voltage from the battery, and the battery temperature. There's also an exceedingly simple widget that just enables and disables the service. As you'd figure, the app should only be running while the phone is plugged in, so it shouldn't make any dent in battery life either. I can't say that I've been using Battery Charge Limit for a long enough period of time to determine if it's been good for the health of my batteries, but the science behind it should be sound. There's a long and detailed write-up on the subject here. But the TL;DR version is that it's not ideal for Li-ion batteries to be stored long-term with a full charge or to be repeatedly charged with higher voltages (which are used to get those last few percentage points). 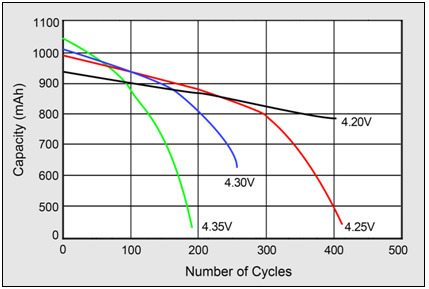 The lower the voltage a cell sees, the longer it should last, and capping the capacity at a lower number decreases that maximum voltage. So, using Battery Charge Limit allows you to sacrifice capacity for longevity. That's a trade-off that probably isn't worth it for a daily driver, but which might be perfect for something that's going to live most of its life tethered. Personally, I wish I had used this before my Nexus 6 started to bloat up, I might have been able to delay that for a while. 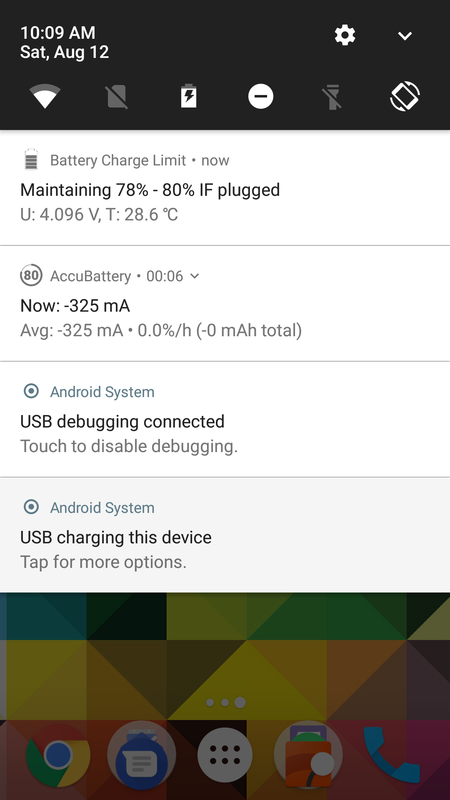 Battery Charge Limit is open source and hit 1.0 18 days ago, but based on user reports it might still be a bit rough around the edges. 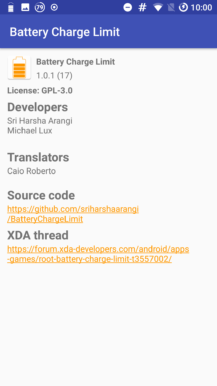 It isn't compatible with all devices, some might require additional manual configuration, and there are reports on the developer's XDA post for the app that it can misbehave in certain hardware configurations. 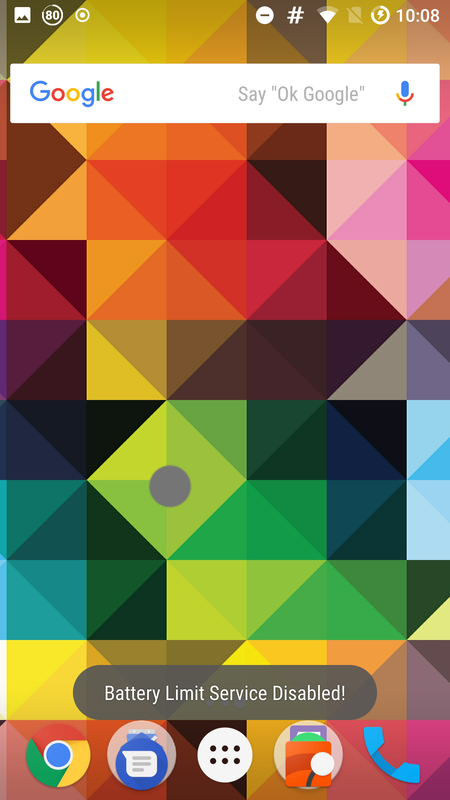 Thankfully, it seems that the worst you should experience is a random disabling of the service. 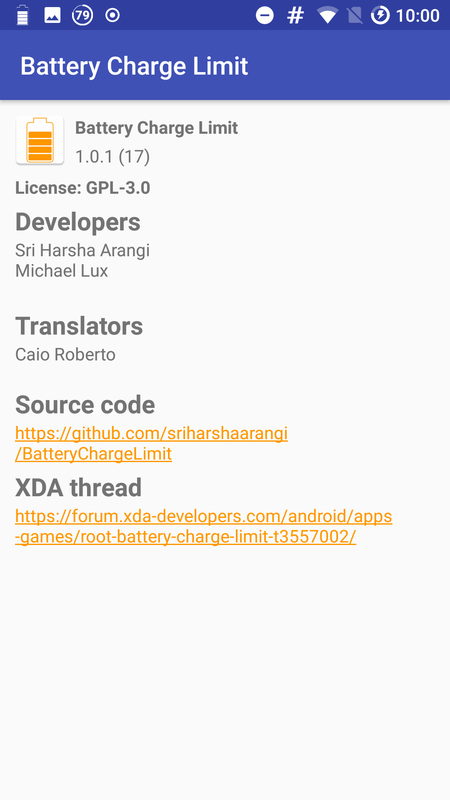 Of course, I'm partial to the work of those fabulous folks at APK Mirror (it's us), but wherever you download it, you should read the XDA post by the developer. That post is also a good spot to look for information if you run into any trouble, as it has both an FAQ and user comments that might help. 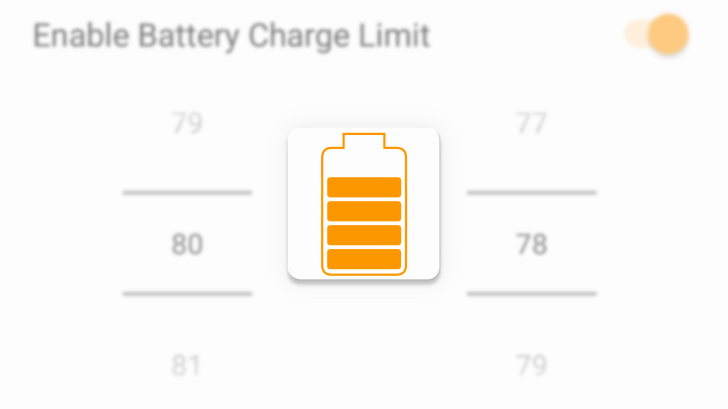 For 99% of people, Battery Charge Limit will have no use. But if you keep a device plugged in constantly — like a developer that keeps phones at their desk for testing, or even if you are just a consumer using an old tablet on a coffee table as a remote for a Harmony Hub — this should stretch out the life of your phone's battery a bit.